‘Fuller House’ Season 4 Air Date, Plot, Characters: Will This Be the Last Season of the Family-Oriented Drama? “Fuller House” Season 4 recently wrapped up filming and fans of the family-oriented drama are asking when the season will be released. While Netflix has yet to announce when the show will be available on the streaming service, one of its stars is saying that it might come out this December, Feeling the Vibe reported. Michael Campion, the actor who plays Jackson Fuller, posted a video on Instagram with his guess but also added a disclaimer that it might be off the mark. However, his reasoning behind the prediction is pretty solid as he revealed that the Christmas episode will kick off “Fuller House” Season 4. The premiere date of the next installment was first predicted to land sometime around October. But given that production just recently wrapped up, the crew will still need to polish everything with editing and whatnot. 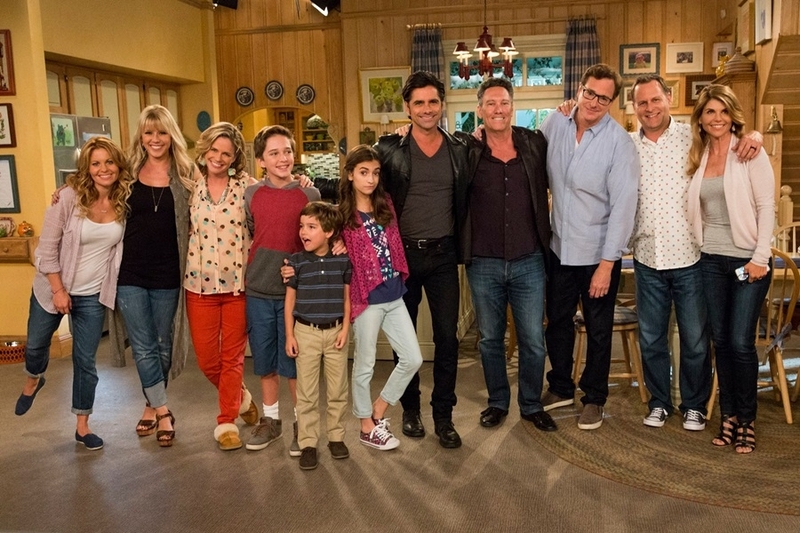 “Fuller House” Season 4 will likely follow Campion’s prediction so fans can look forward to that. As for the plot, little is known about what’s in store for the Fuller/Tanner/Gibbler ensemble in “Fuller House” Season 4. However, clues can be picked up from where the show left off. Kimmy (Andrea Barber) is now carrying the child of Jimmy (Adam Hagenbuch), with Stephanie (Jodie Sweetin) acting as the surrogate mother for the baby. Writers have a lot of room to work in with this plot development, with the most prominent being the transition to parenting life. And everyone knows how complicated that is. On another front, DJ (Candace Cameron Bure) and Steven (Scott Weinger) are back together again but their relationship will be tested in “Fuller House” Season 4 since it will be a long-distance one. There are still a lot of avenues to explore for the upcoming season, although Netflix has yet to order a fifth installment. And since the previous season didn’t do so well ratings-wise, it seems that “Fuller House” Season 4 could be the last installment for the family-oriented drama. So far, no announcement has been made yet and there’s still the possibility of Netflix renewing the show for a fifth season. However, “Fuller House” Season 4 needs to produce stellar numbers in order for Netflix to justify another season order.